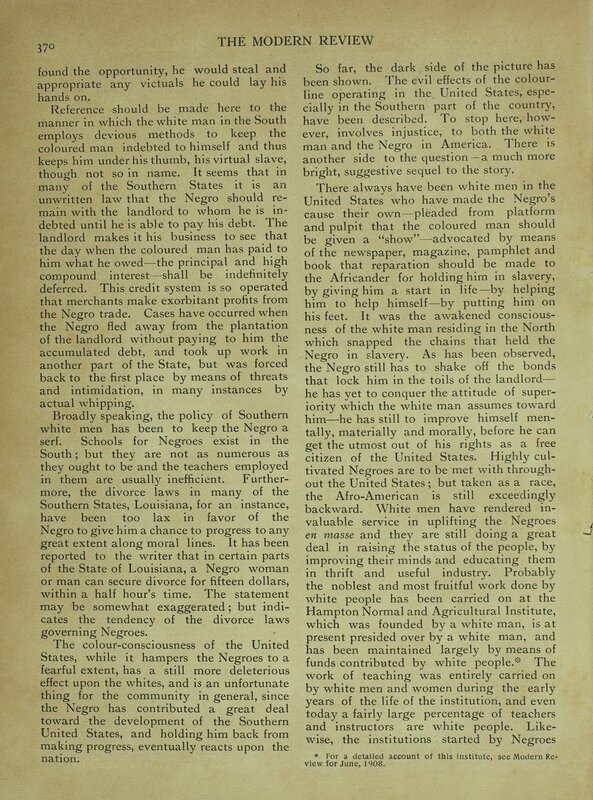 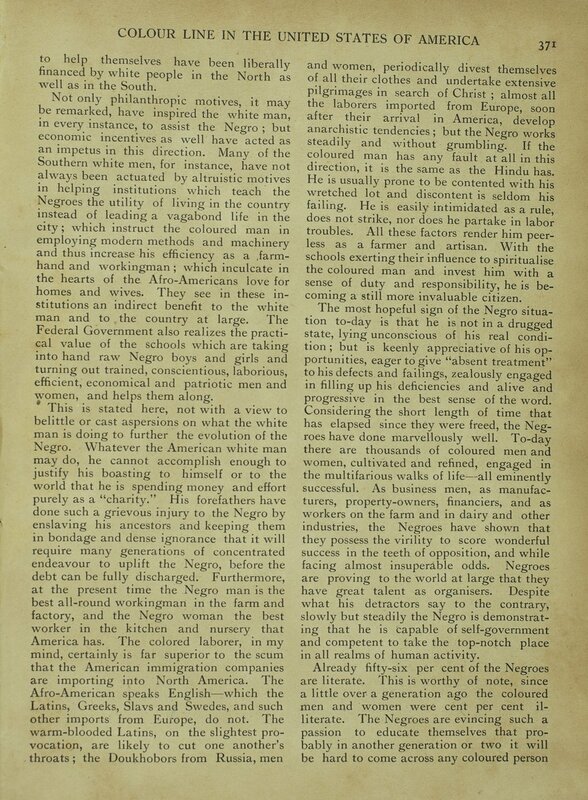 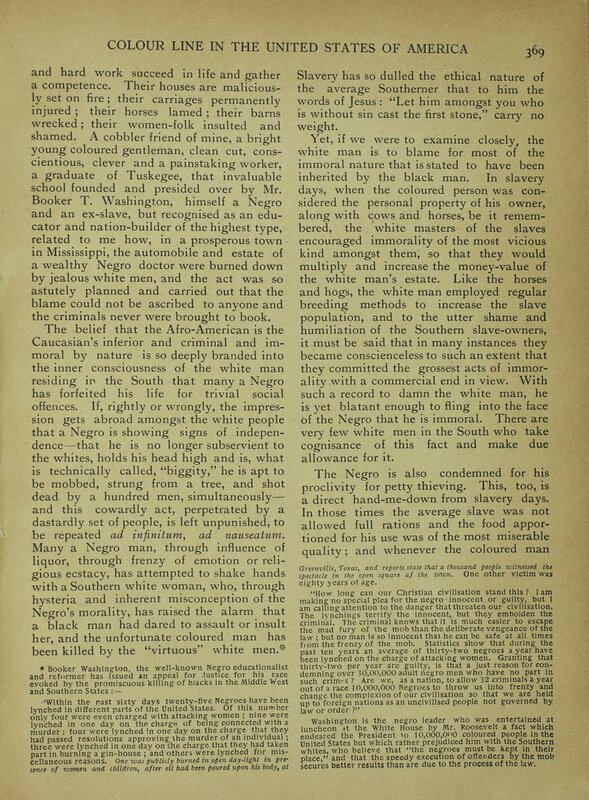 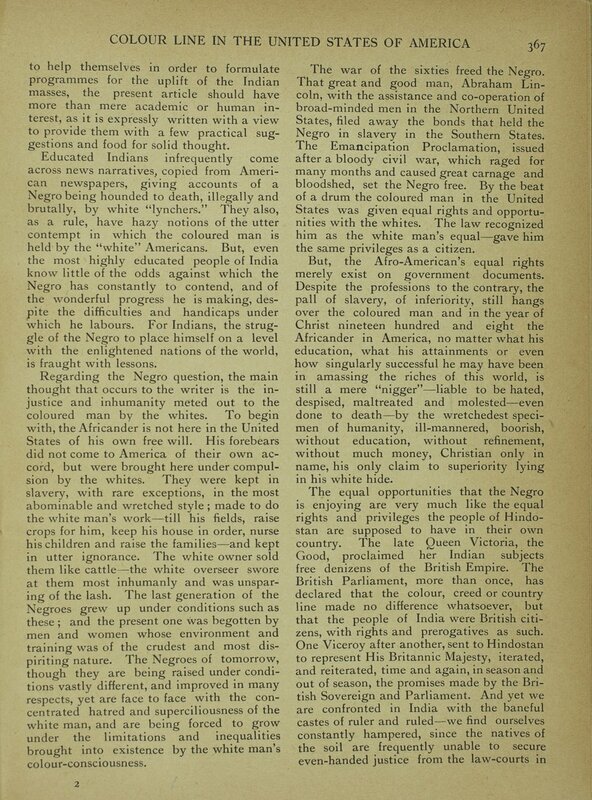 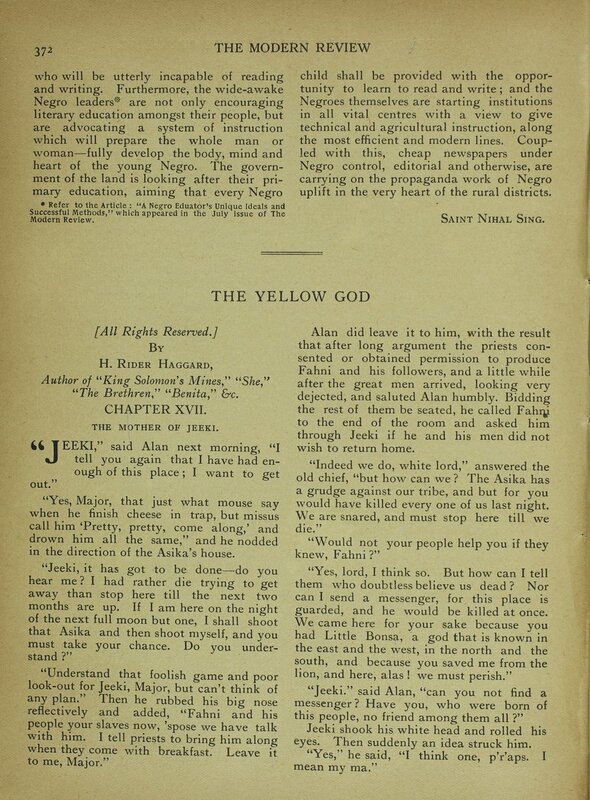 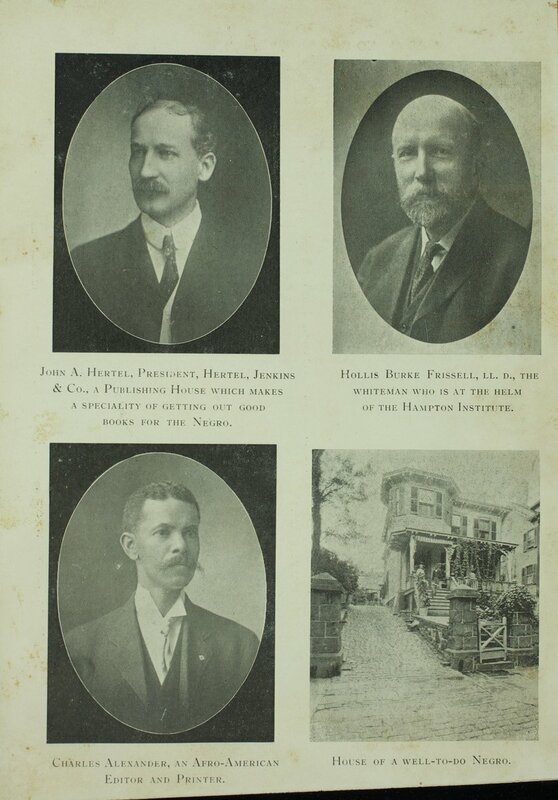 Lengthy article published in November 1908 issue of Modern Review by Saint Nihal Sing on the condition of African Americans, and the continued efforts for racial uplift. 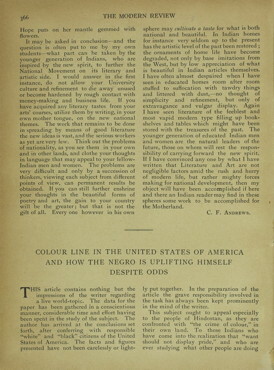 Sing frames the issue as one that would appeal especially "to the people of Hindostan, as they are confronted with 'the crime of colour,' in their own land." 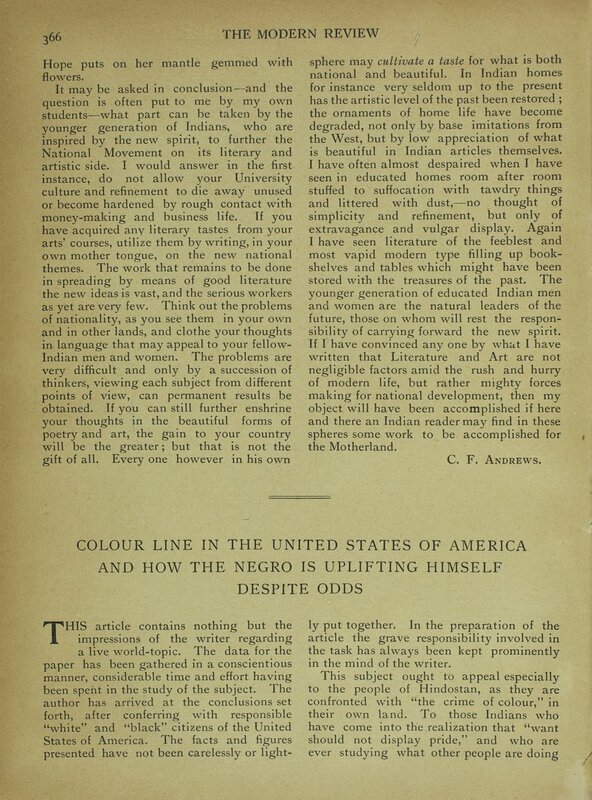 Throughout Sing compares African Americans struggle for equality to Indians struggle for sovereignty: "The white man metes out the same treatment to coloured people in India and out of India. 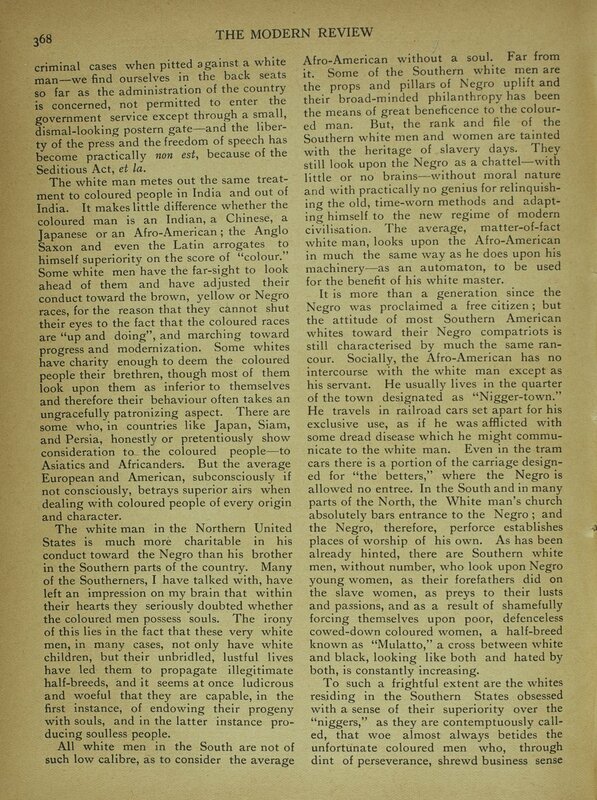 It makes little difference whether the coloured man is an Indian, a Chinese, a Japanese or an Afro-American." 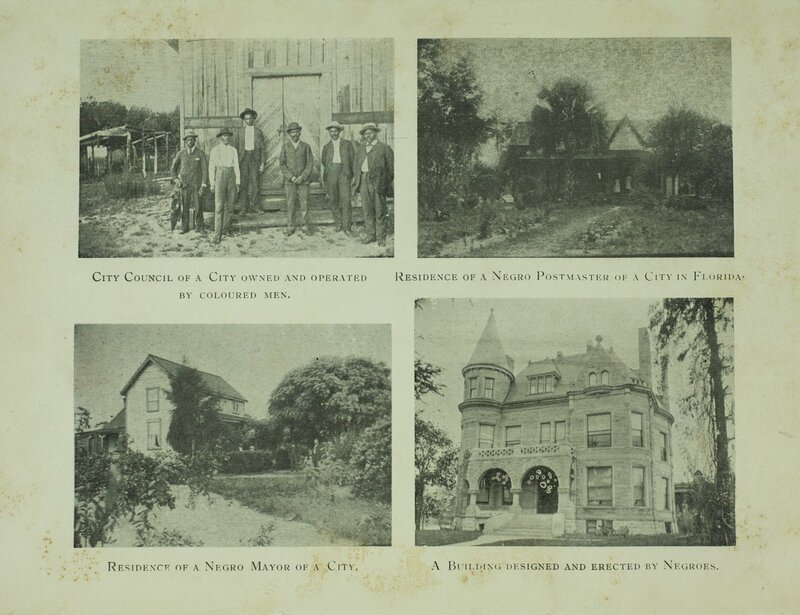 Accompanied by various slides, including photos of John Hertel, Hollis Burke Frisell, Charles Alexander, and several residencies of "coloured men."